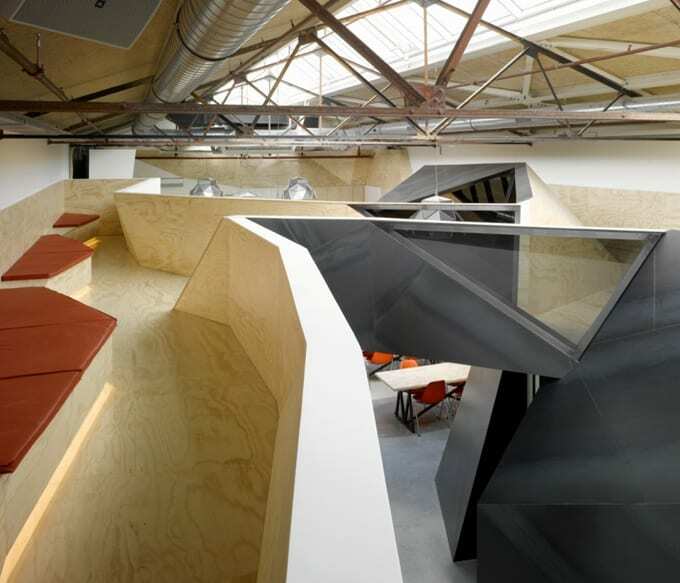 Trust Red Bull Netherlands to come up with a crazy office design for their Amsterdam Headquarters. 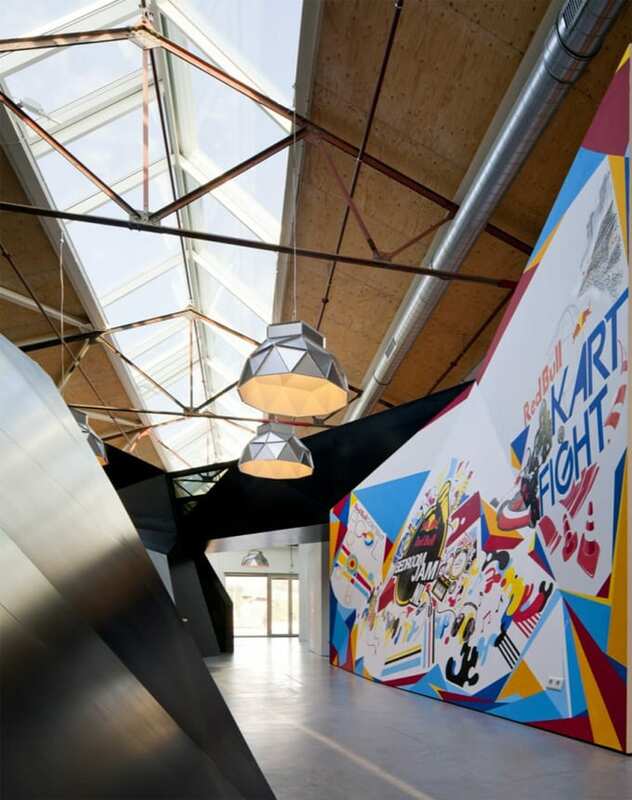 Their new office is in Mediawharf an old dockyard in Amsterdam that had been captured by street artists as it lay disused and run down. It’s now a bustling hive of creative activity, thanks to companies like Red Bull and MTV setting up shop. 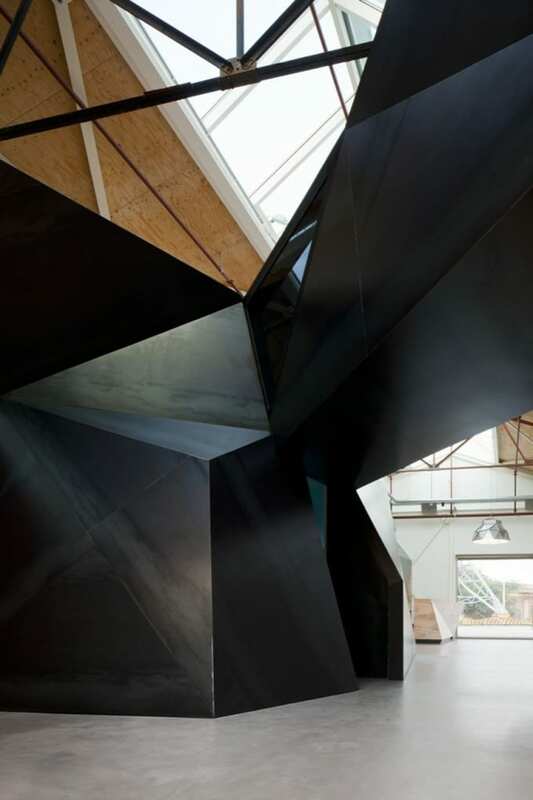 The space, designed by Sid Lee Architecture, is a network of crazy angles that constantly challenges your eyes and mind to break with convention. 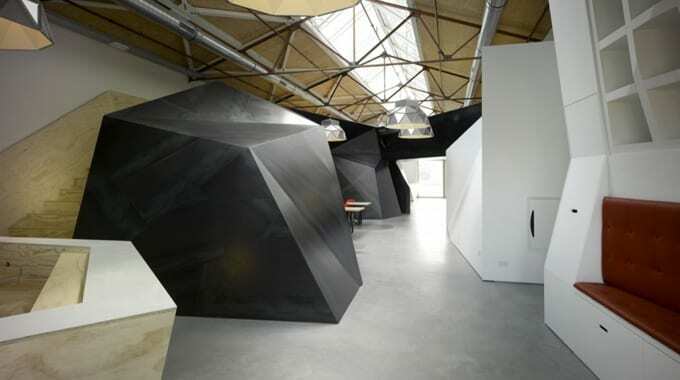 The theme was duality, light and dark, public and private, work and play, they have deliberately imposed the near mythical, inspirational feeling of the Red Bull brand into the simple industrial building. 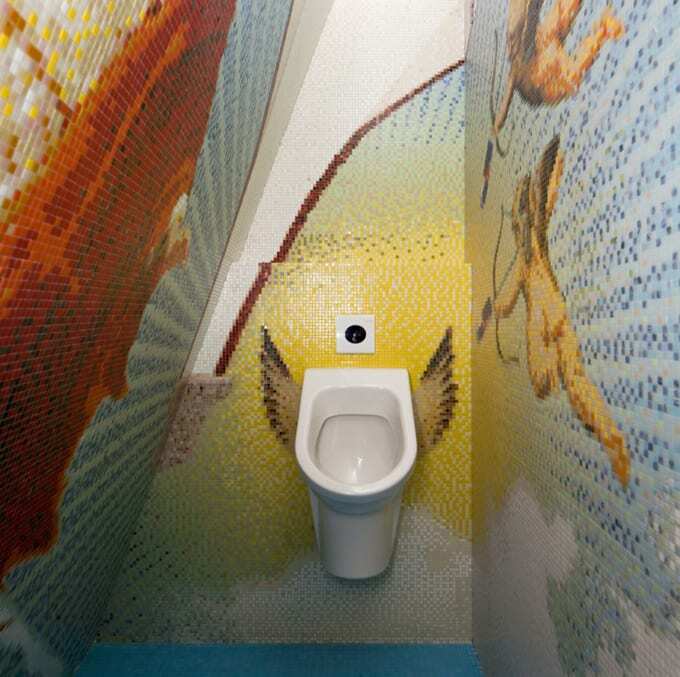 Even the urinals have wings! 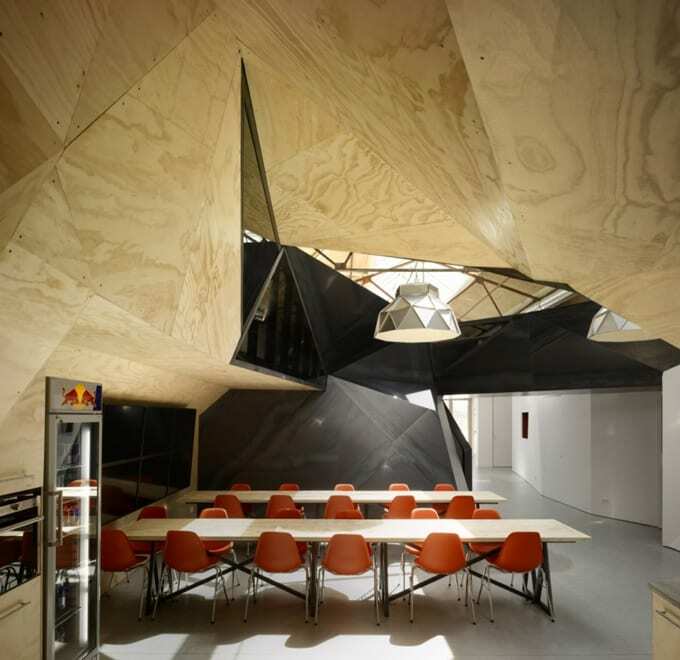 The corridors echo the street heritage of the space and the extreme side of Red Bull. 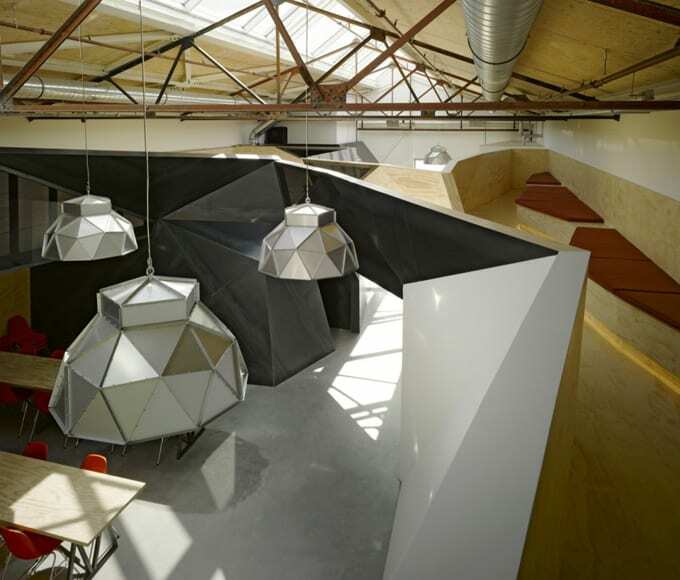 To design and build the space would have been extremely challenging, not something Red Bull is known to shy away from. On the face of it, it almost seems too much – but if it wasn’t for companies like Red Bull, would we ever get to see incredible spaces like this? It’s so easy for practical considerations to quickly turn the crazy fun ideas into the mundane – but it’s these very things that make the difference and enhance our day-to-day lives. What an amazing and inspiring space to work from. Images courtesy of the cool hunter.